Walters and his girlfriend Carol Van Deusen purchased 45 eight-foot weather balloons and obtained helium tanks from California Toy Time Balloons. Walters attached the balloons to his lawn chair, filled them with helium, put on a parachute and strapped himself into the chair in his backyard. He took his pellet gun, a CB radio, sandwiches, soda, and a camera. When his friends cut the cord that tied his lawn chair to his Jeep, Walters's lawn chair rose rapidly to a height of about 15,000 feet (4,600 m). He slowly drifted over Long Beach and crossed the primary approach corridor of Long Beach Airport. After 45 minutes in the sky he shot several balloons and then accidentally dropped his pellet gun overboard. He descended slowly until the balloons' dangling cables got caught in a power line, causing a 20-minute electricity blackout in a Long Beach neighborhood. Walters was able to climb to the ground and was immediately arrested by waiting members of the Long Beach Police Department. Just after landing, Walters spoke to the press, saying "It was something I had to do. I had this dream for twenty years, and if I hadn't done it, I think I would have ended up in the funny farm." 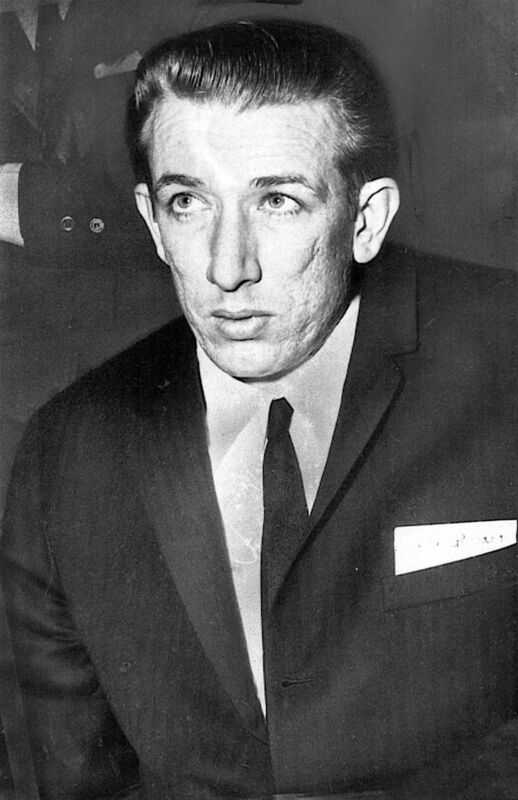 Mass murderer Richard Benjamin Speck aka Born to Raise Hell is born in Kirkwood, Illinois, United States.